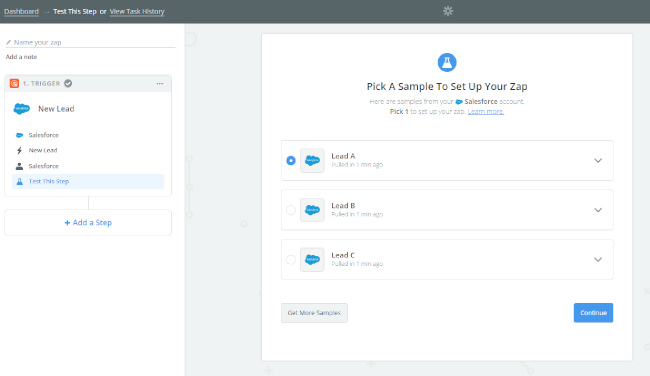 Mopinion has created a step by step ‘How to’ for integrating your user feedback with Salesforce using Zapier. 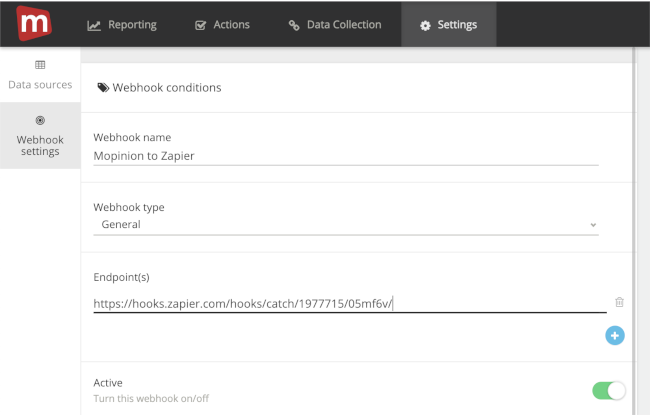 But first things first…what is a Mopinion webhook? What is Zapier? And why should you integrate your user feedback with Salesforce in the first place? Keep reading and find out. What is a Mopinion webhook? The Mopinion webhook system enables users to relay data to other applications as the data comes in, rather than polling for the latest updates. In other words, users can easily integrate Mopinion feedback data with other apps. All they have to do is send the data to application endpoints (or the URL where feedback data will be sent to). Zapier is your best friend when it comes to data integration. 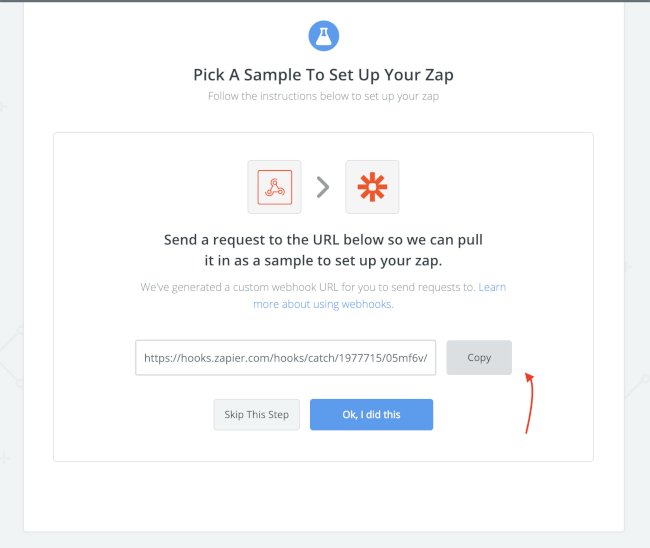 Zapier is an online automation tool that allows end users to integration their web apps using what they call Zaps. 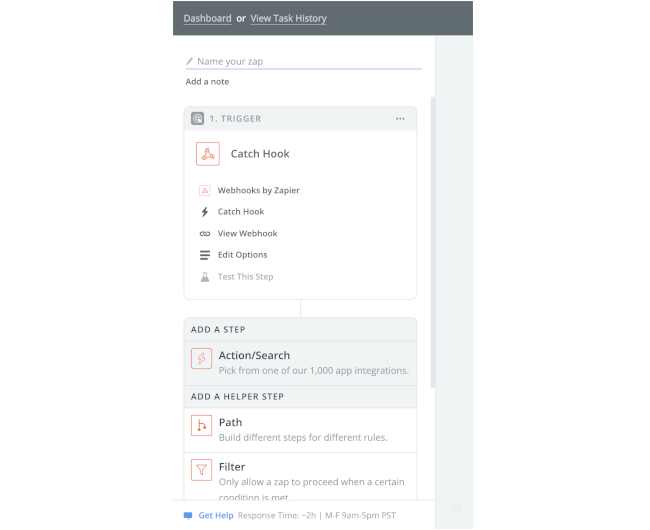 Zaps are blueprints for a task that you want to complete over and over without having to open apps manually. 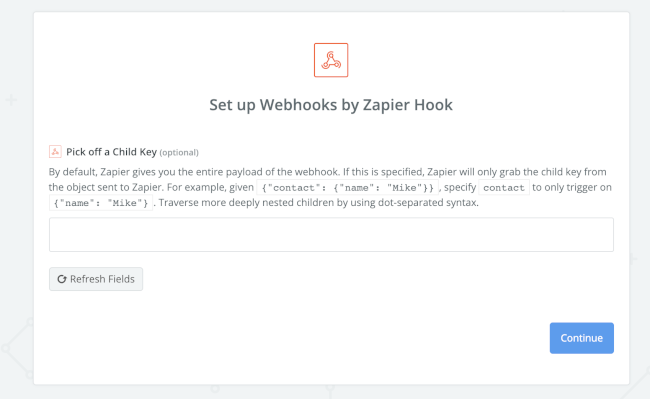 Zapier offers a solution for incoming webhooks as well which allows Mopinion webhooks to be posted to the Zapier endpoint. And voila! Your user feedback data can be connected to thousands of different apps, including Salesforce. Why integrate your feedback with Salesforce? For starters, Salesforce was built for organisation and productivity, so that already makes it a great place to house feedback. So when you combine this software with your feedback, you are essentially adding depth to your customer data. How? The subjective information you collect from your feedback such as customer satisfaction, NPS, customer preferences and even key demographic information will provide you with a 360-degree customer view and thus, the opportunity to better serve your customers. 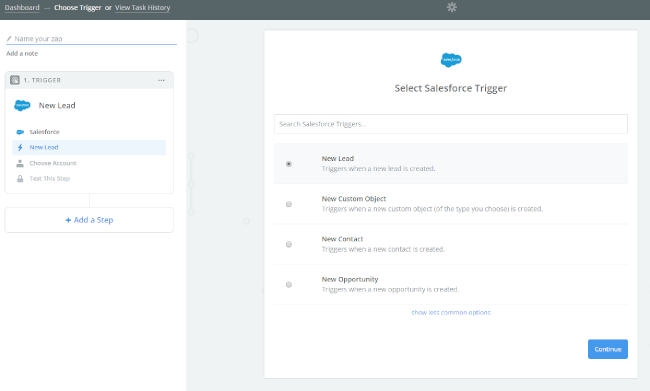 With Mopinion feedback data, for example, you can apply behavioural triggers (such as exit intent in a funnel) and capture fresh leads that are posted directly to your leads section in Salesforce. To integrate the Mopinion software with Salesforce, you’ll need to set up your Zapier account first. After clicking on “Make a Zap”, you will be redirected to the trigger screen, where you can add your first trigger. 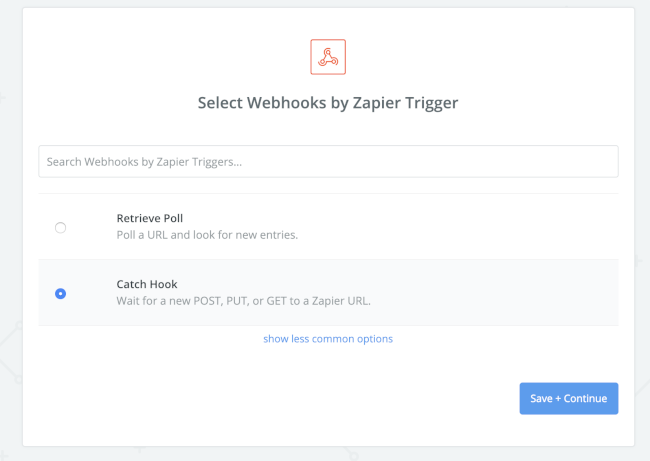 The trigger is used to connect the Mopinion webhook to Zapier and push your feedback data to the Zapier system. Add the Zapier URL (endpoint) that you copied earlier. Note: it is not mandatory to select conditions. You can also send ALL data to Salesforce without any predefined conditions attached. Besides, for testing purposes, that’s usually the easiest way to monitor if the data is flowing in Zapier. It’s finally time to connect Mopinion to Salesforce (via Zapier). To do this you’ll need to add an action to the trigger. 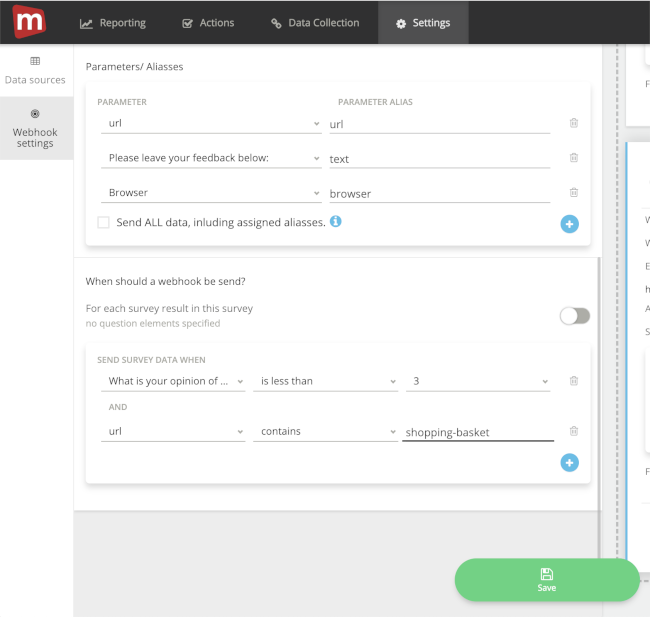 Actions allow you to send the Mopinion feedback data to Salesforce. 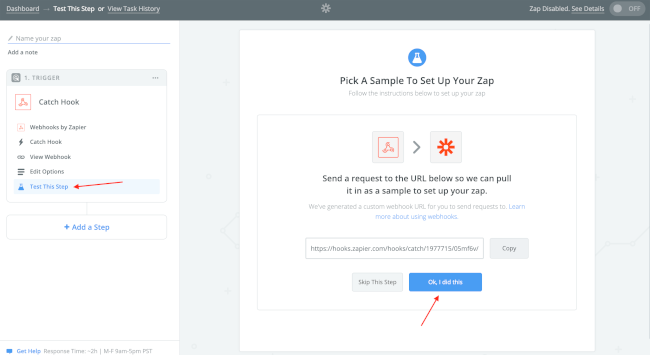 Once the Zapier trigger is setup properly and the Mopinion Webhook has been activated, your feedback data should reach the Zapier application. From there, you can start pushing the feedback data to Salesforce. You’ll see a couple of Built-in apps from Zapier such as email, RSS, SMS, and translations. However, you’ll also find pre-built integrations from other software providers, such as Google docs, Salesforce, Mailchimp, etc. Type in Salesforce and select the app from the pulldown. Select your trigger(s). For example, ‘New Lead’ which may be the contact details filled in by visitors who are not yet a customer, or ‘New Contact’, which would be applied for existing customers. For this example, we will select ‘New Lead’. Once you’ve selected ‘New Lead’, click on Continue’. Now all that’s left is to test this step. You can test using a sample from your Salesforce account. Congratulations! You have successfully integrated Mopinion with Salesforce. Want to filter your data? Learn more about adding additional filters and tweaking your new integration here (see step #4).